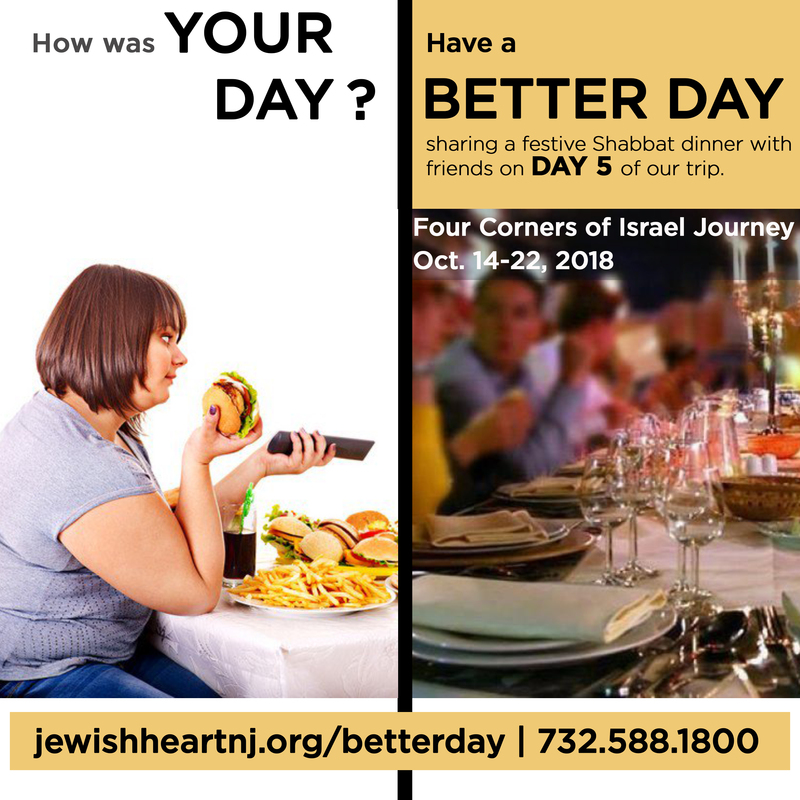 Connect with the magic of Israel and do it with friends and neighbors from your own Monmouth and Middlesex community! Israel will wow you while you form lifelong bonds and memories together. 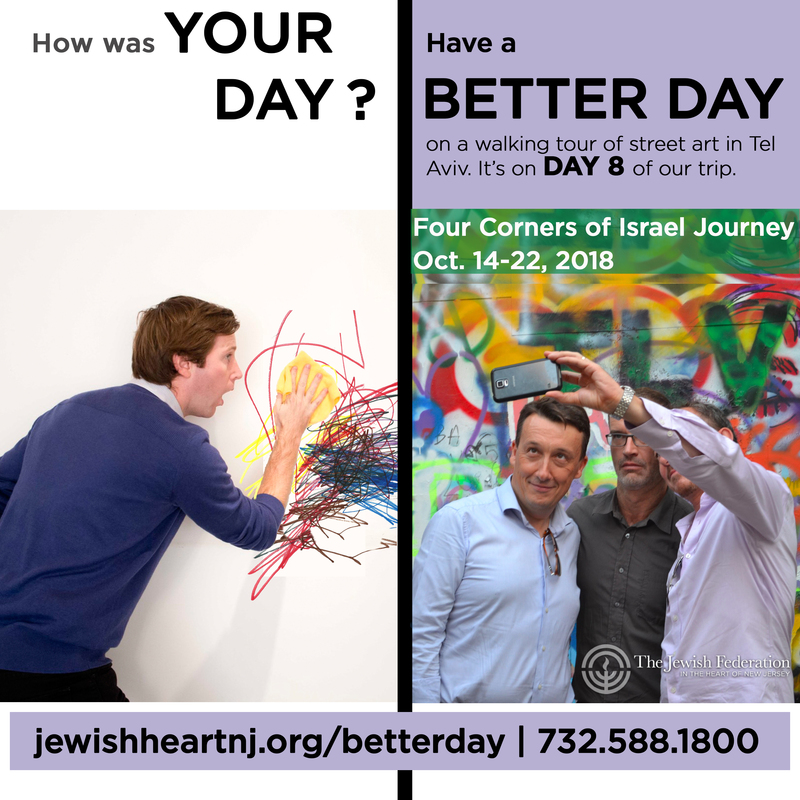 From its history, natural beauty, and spirituality to its world-class innovation, cuisine, nightlife, arts, beaches, and more — explore your Jewish roots and what Israel means to you today. Airfare additional. Group rates available or purchase on your own. 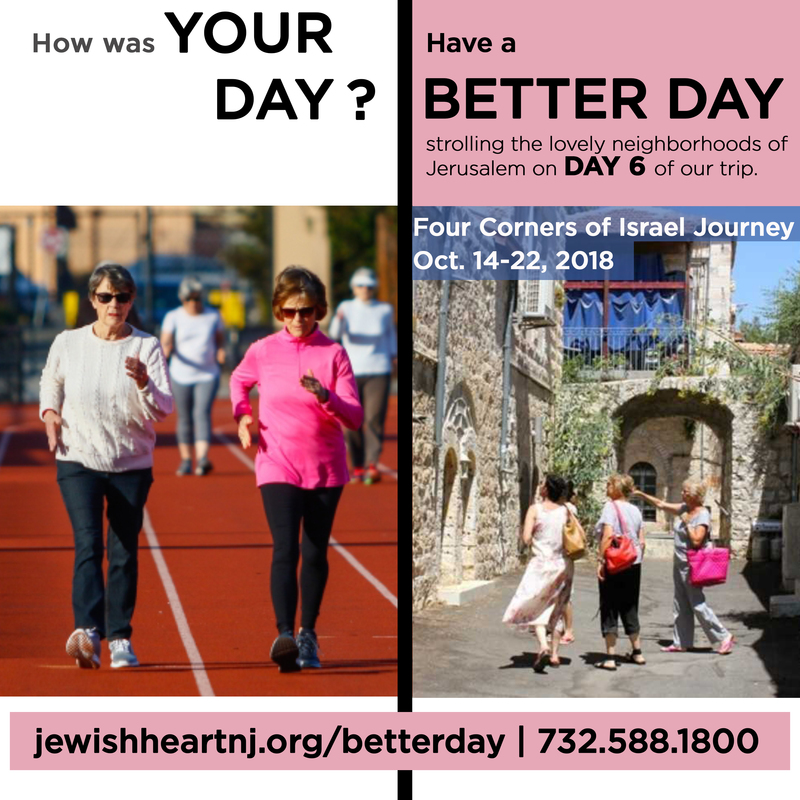 We are so excited our journey to the Four Corners of Israel is so popular. At this time, we are full...and registration is closed. 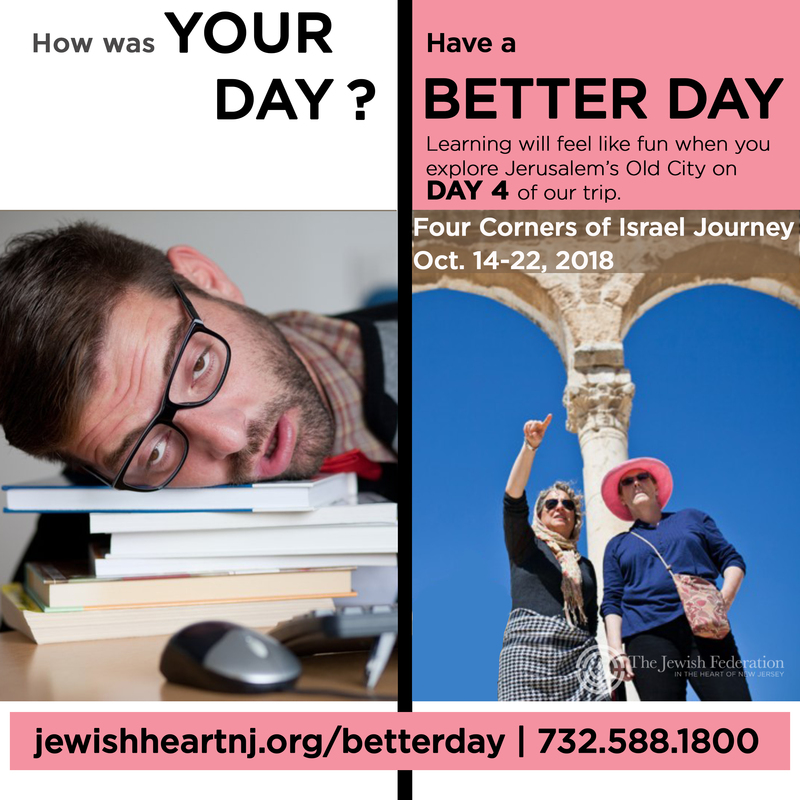 For more info, or to learn about future trips, contact danr@jewishheartnj.org. 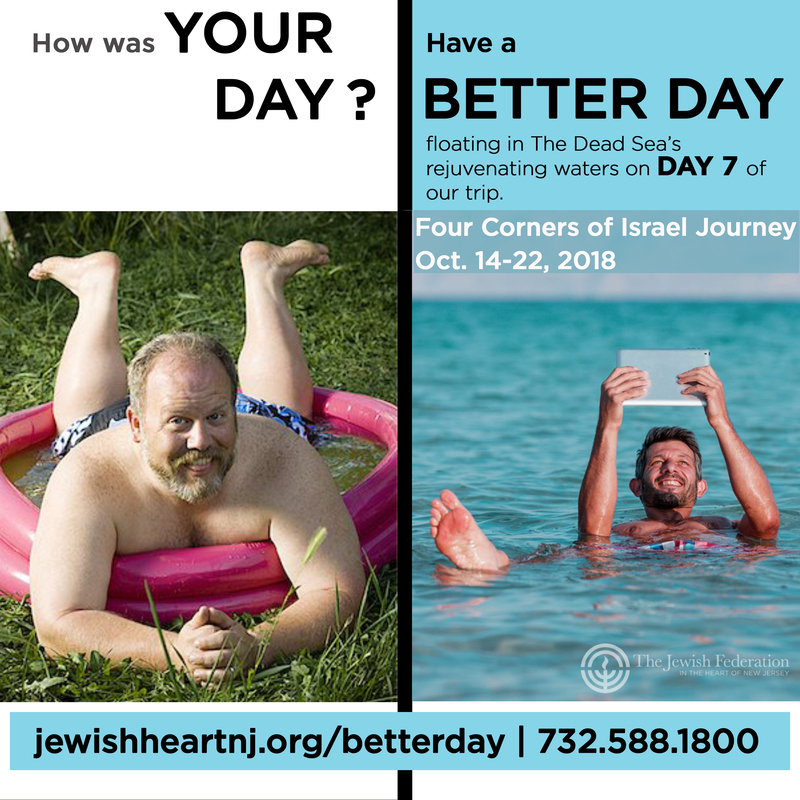 Find out what's in store for this amazing trip as we celebrate Israel's 70th anniversary — IN ISRAEL — with great beaches, diverse culture, and world-class cuisine. Group rate: $1259.00, per person, including fuel surcharges and taxes. Limited changes may be possible for a fee, based on availability. Feel free to contact Dan Rozett with any questions. 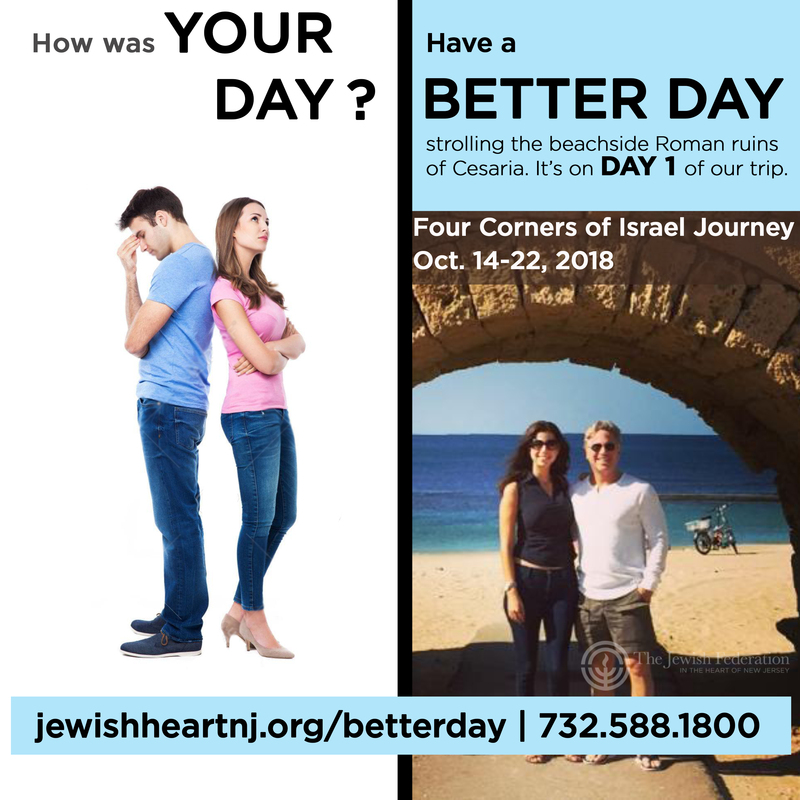 FAQs about booking flights and the Payment & Refund Schedule for this Four Corners of Israel trip are also available. 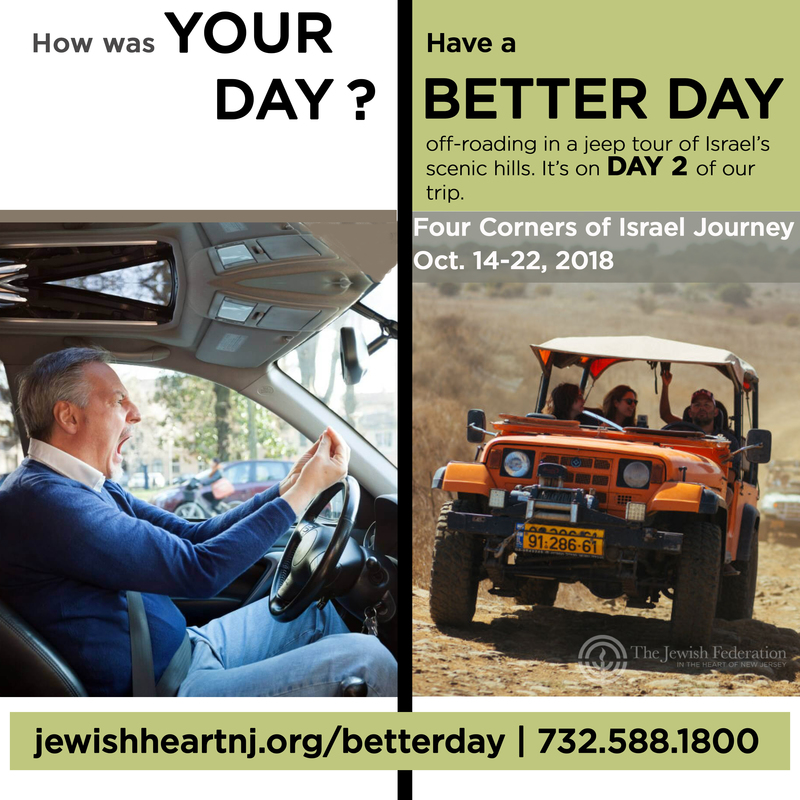 Be the first to find out about future trips – to Israel and beyond!